SWMBO dares you to say that three times fast! If you have been reading this blog for even a few days, you will know that SWMBO is many kooky things. Well, raw milk advocate is one of those quirky SWMBOisms. In the archaic land from whence I hail, if you tell someone that you prefer to drink raw milk over pasteurized, be prepared for a hell of a look of incredulity. If you are a homeschooler, you already know the drill. In my world, getting your hands on raw milk is a highly underground venture and only the most determined and dedicated will succeed. 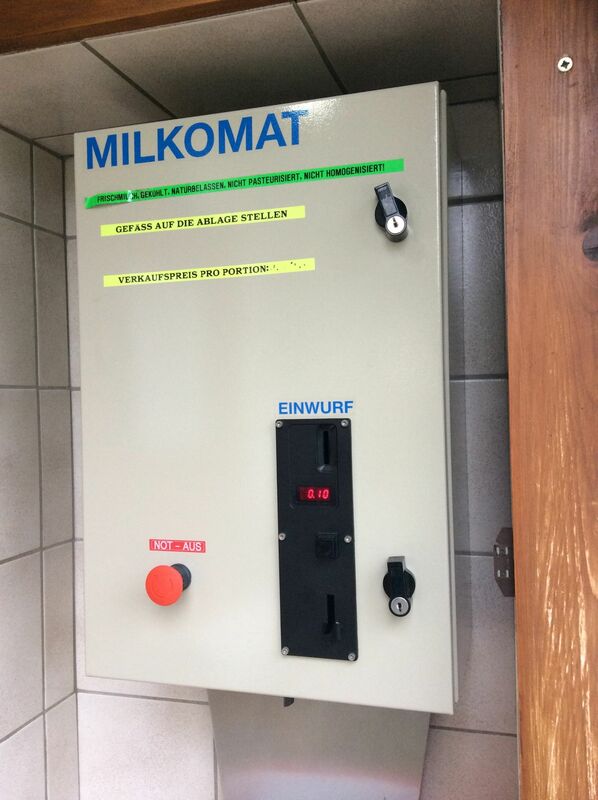 If only getting raw milk in Upper Canada could be like getting it in Upper Austria where you pull over and park in the special raw milk parking lot, jump out and open the little wooden door, place your vessel under the spout and throw in your coins. 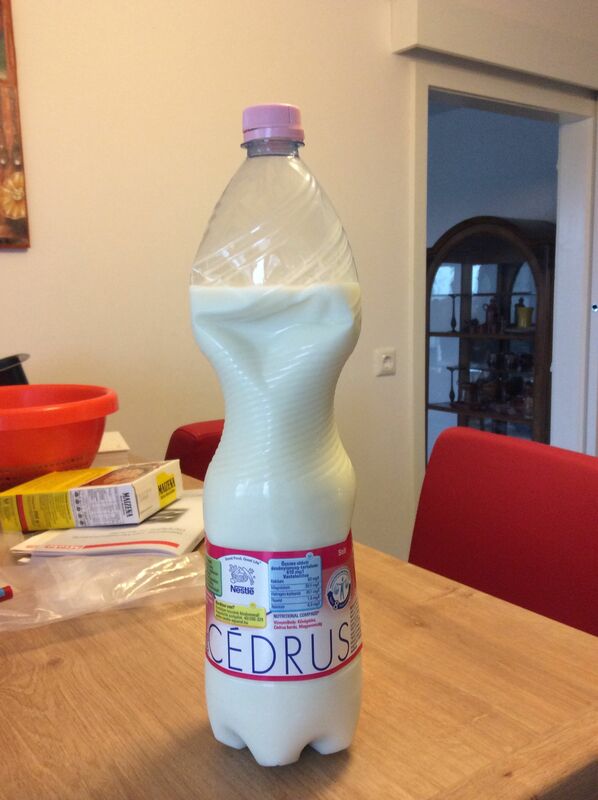 Presto – delicious, cold, fresh, raw milk!!! Get your car out of the way quickly because there is a steady stream of customers pulling into the parking lot. 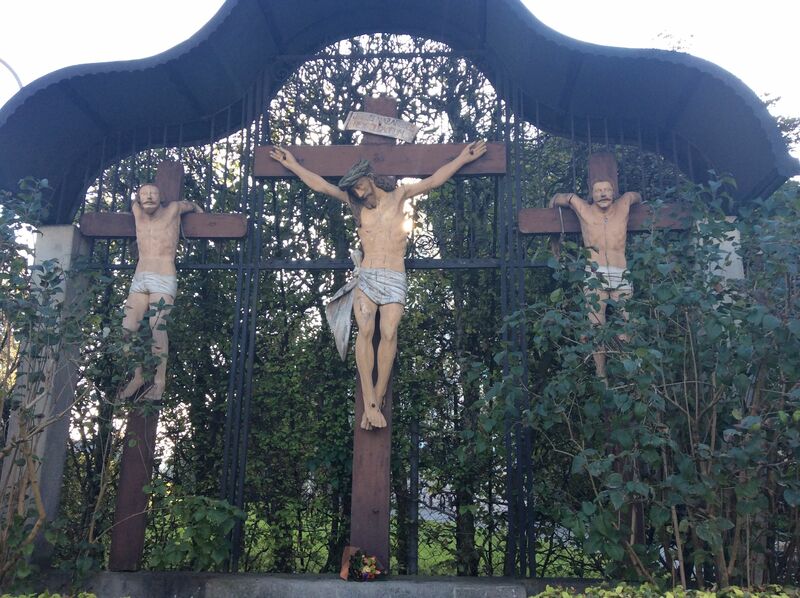 In Vöcklabruck where I get my raw milk, the enterprise is the endeavour of the nuns in the cloister. 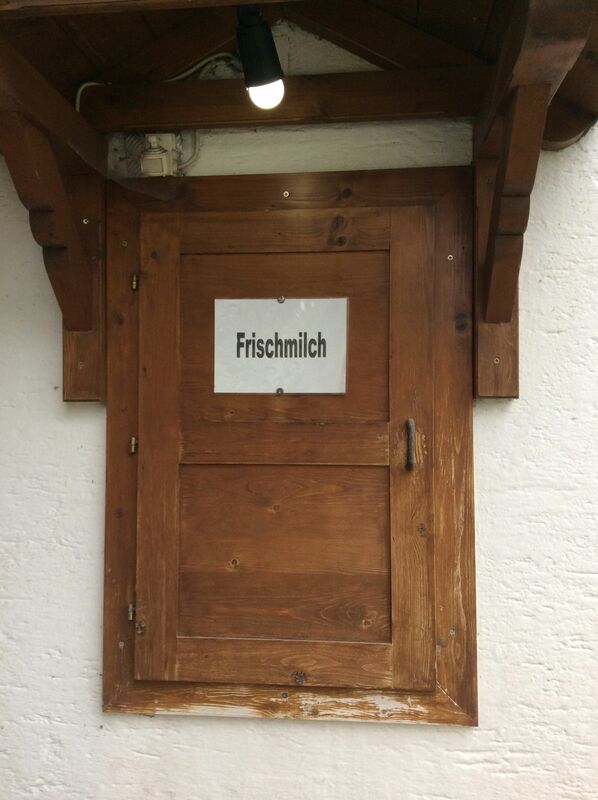 They run a small organic store where they sell local farm products and they operate the Frischmilchautomat. The only downside to getting the milk is that the nuns have installed a big triptych that the kids (and yes, I too) find disturbing. It’s right beside the parking lot and milk dispenser. 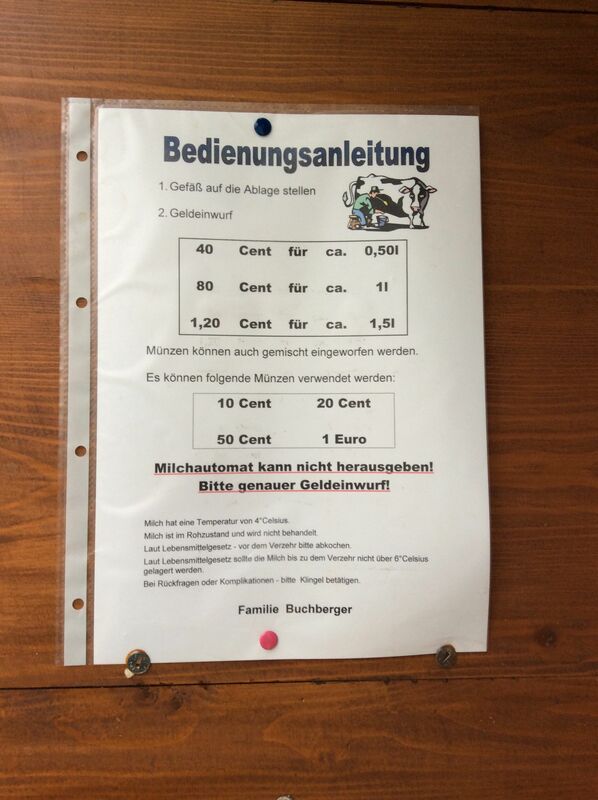 Not only is it so much more convenient to buy raw milk in Austria versus Canada – it’s also cheaper! I pay $2 Cdn for a litre of raw milk back home. Here the price is 20 euro cents/$0.30 Cdn for a “portion”. That works out to $1.20 Cdn/litre and the nice thing is that you can buy whatever quantity: you want you just pick the number of portions you need. At home, I can only get the milk in 2 L jars. Okay that was a short post but sometimes the best things come in small packages, right? I am always learning something when I read your blog. I have never seen the word “triptych” so I learned a new word for the day and now I have a great new scrabble word to play with so yes even a short post works for me! Ha! Ha! Just casually drop it into your next cocktail party conversation.